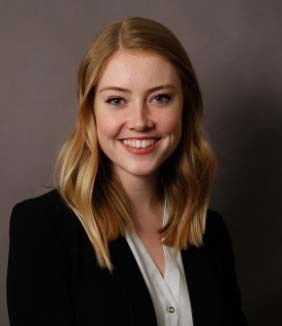 "After graduating from the School of Global and International Studies at IU in 2015, I spent the summer interning at the Urban Land Institute before starting a dual-degree graduate program in city planning and real estate at Cornell University. I originally joined the PACE program because it served as a complement to my courses in diplomacy, but the skills I picked up in PACE courses have transferred seamlessly into my urban planning experiences. Mediation, moderation, negotiation, and alternative dispute resolution are soft skills that have helped me excel in the community development realm. The seemingly simple skill of listening has served me unbelievably well, and I’m so glad active listening was emphasized in PACE courses. At the time, it wasn’t something I thought I needed to take a course in, especially since I felt pressure to acquire tangible, technical skills in undergrad, but it has impacted my personal and professional development in ways I never could have predicted. I’ve found myself leaning on my experiences in moderation when working on real estate development projects with colleagues from different backgrounds. Architects, financiers,construction managers, and lawyers all think and communicate very differently, so moderation has almost served as a method of translation. By actively listening to everyone’s interests,identifying common goals, and collaboratively working toward action items, we’re able to minimize conflict and get projects done. I’d encourage any student at IU to get involved in the PACE program, whether you’re majoring in business, biochemistry, or anything in between. I think a common misconception about the PACE program (at least while I was at IU) is that it’s just for students interested in political science. As someone who now works in the business and community development realms, I can speak to the fact that PACE courses and connections carry some of the greatest value out of any of my experiences at IU. There will always be time to pick up the hard skills that will help you succeed in your field, but learning to lead a productive conversation among a diverse group of stakeholders is something that’s worth practicing as early as possible. PACE courses taught me a style of communication that is extremely beneficial for leading effective group projects,stakeholder meetings, and even job interviews. If you seek to understand the perspective of the people with whom you’re interacting, the exchange will be more fluid and constructive for all parties."